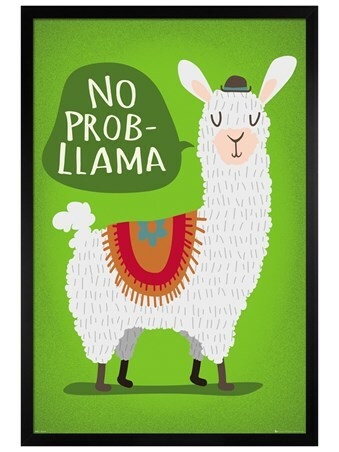 Take a seat and kick back and relax, because this fluffy figure says there's 'No Prob Llama'! 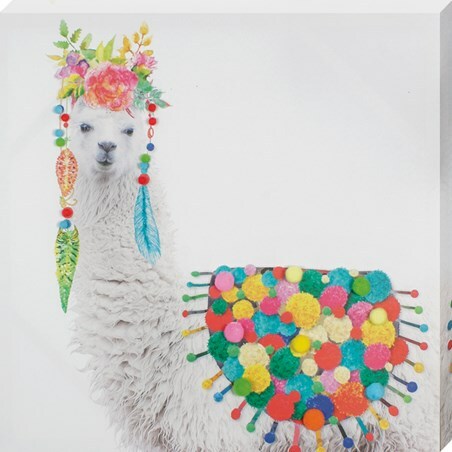 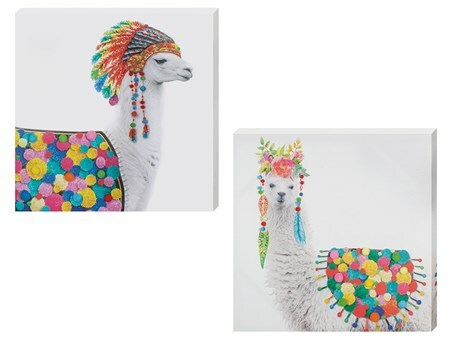 Sporting a colourful throw slung over his back and a duo of tasselled accessories around his neck, this laid back llama is positively horizontal. 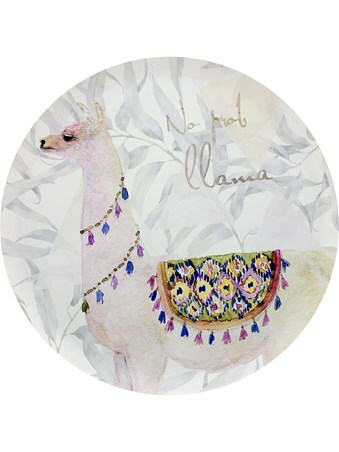 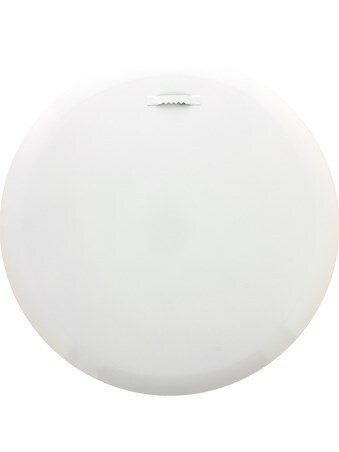 So hang this beautifully decorated tin plate in your hectic home and inspire peace and relaxation for your whole family! 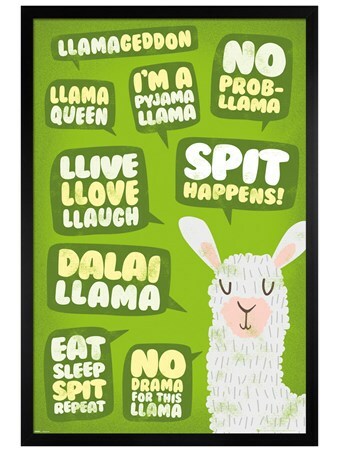 High quality, framed No Prob Llama II, Decorative tin sign with a bespoke frame by our custom framing service.